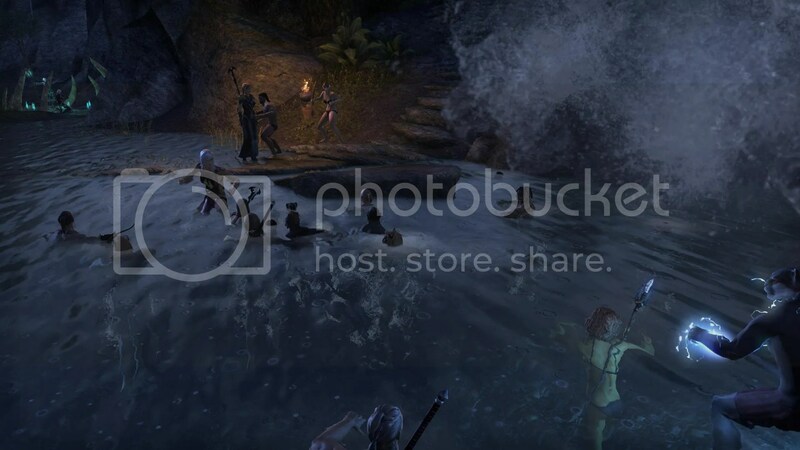 Two weeks ago, ESO Festivals hosted the first ever server-wide festival for Aldmeri faction mainly- NA server. Contestants marched in front of viewers with their finest gear. I was unable to get a list of the winners, mainly because the Old Timers did not put their full names in chat. Please do this next time! 1,500g was given to each person who won a round of the game. 3k was given to @Blosmer who won the first round of the game, and 5000g was also given to @Blosmer for answering the most questions. There was also a Linked-in Sentences contest- a competition to see who could, using 2 items minimum, create the most funny sentence or phrase using 2 items linked in chat. Guests left Marbruk at 9pm to head to a waterfall cliff nearby. All contestants had to stand at the top of the cliff, and the judge (me) stood at the bottom. Whoever jumped the closed to me would be the winner, but we had a tie the first round. After the jump-off, winner Arisel won 5000g. 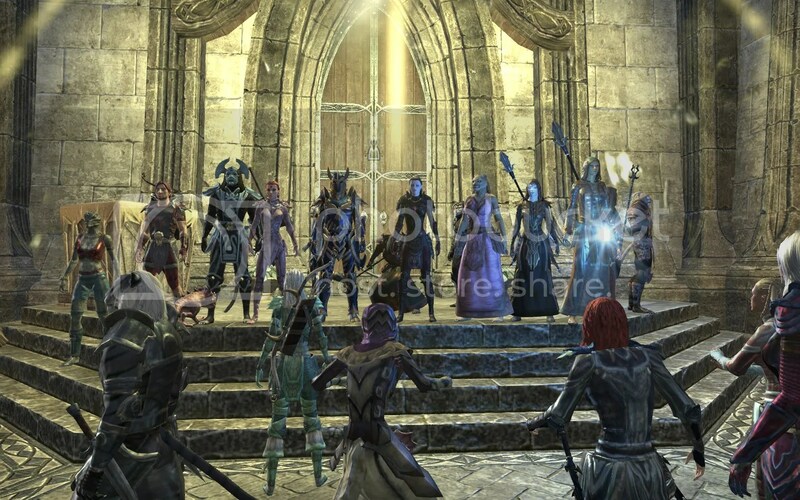 The Blue Skooma auction is a weekly event that was incorporated into the festival. 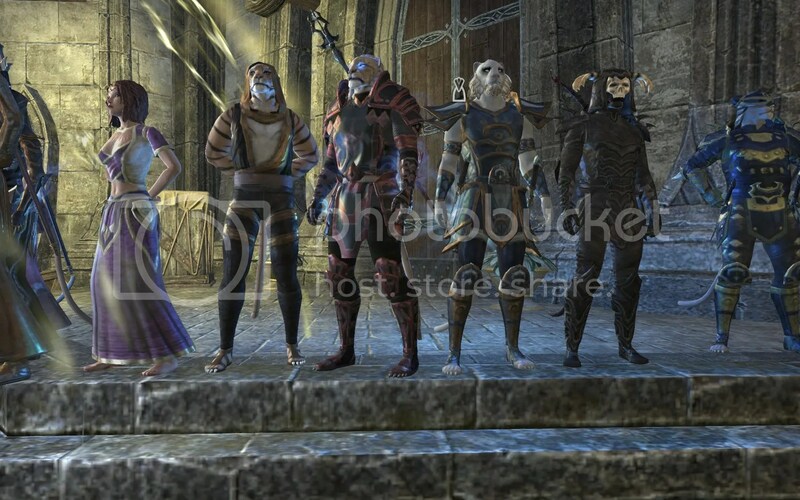 The Blue Skooma guild takes a 10% commission of the sale, and they mail you your winnings the day after the event takes place. All events took place in Marbruk except the cliff diving, which was NE of Marbruk. Prizes were given for almost everything. It was a great day for the Aldmeri! 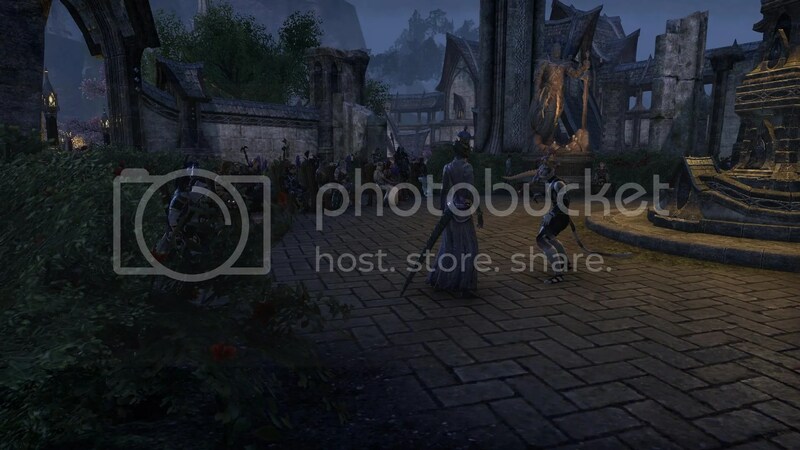 Stay tuned for info about more upcoming ESO Festivals.